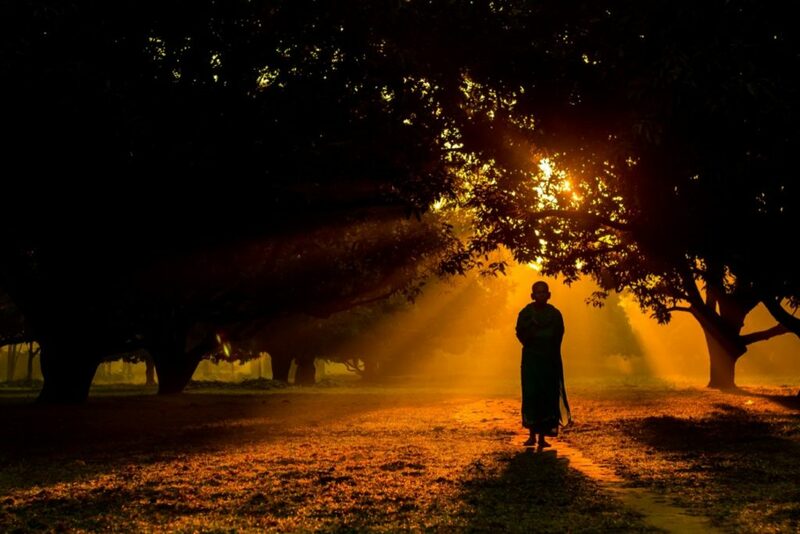 The process of enlightenment and spiritual awakening is as individual as we all are so to experience it is unique to each person though many characteristics appear to be common among those who are in the process of awakening. First and foremost, the person is awakening to the idea or knowingness that there is more going on here than meets the eye, here on planet Earth, as God’s spark begins to burn more brightly in you. Awakening to the fact that there is far more to this life that you first were led to believe is the first clue that you’ve begun your spiritual awakening. You are unable to see past all the barrage of life’s distractions unless you have given a glimpse of something far more real than the life we’ve come to accept as it has been presented to us. You also are experiencing an excitement or reverence for your surroundings, especially of nature, flora, and fauna, as being special or sacred, as you honor your ability to be in its presence and to share the world with it in all its glory. Your senses are heightened as you awaken you become more sensitive, a growing awareness of others, and the knowingness of there being so much more of the life experience which is waiting to be revealed to you in vibrant detail. You are more interested in staying present or being in the now, as opposed to being oppressed by things that have happened in the past. You may be learning techniques to deal with the past, heal past wounds, or you may be one of the ones who simply awaken all at once and the past just falls away, like an old jacket, as you walk into your new, awakened life. You notice there is a difference between you, the you that you were born to be which is a highly connected part of your higher self and God is vastly different than your ego which has been programmed by society to override your more spiritually inclined sensibilities. It may take a while to sort out the dichotomy of you, who you really are made of pure love and your egoic personality which is dominant prior to awakening and based on fear, not love. Awakening is not restricted to those who believe and those who do not, as those who are awakening can span all systems of belief and/or non-belief, from atheism to spirituality and churches, believers and non-believers alike and awakening and expanding as part of the evolutionary process of all human beings, though some may resist the evolutionary process, their future generations will not be able to. You are becoming more authentically real and transparent. You realize there is nothing to prove and nothing to be gained from feeling as though you are better or more deserving than anyone else. Although experiencing life from your own perspective you realize that you are one with all your fellow human beings. The spiritually awakened feel a growing sense of connectedness or oneness with all peoples, things, and life itself. In fact, you may start feeling as if you’ve never felt so alive as you start to live life to its fullest, savoring each breath and the expansive nature of your growing love with every beat of your heart. Beyond what one might think of as seeing the silver lining in a less than desirous situation, the spiritually awakening and expanding see the sacred divinity in all things, both blessed and vile, which makes little sense to our less evolved, heavily programmed, and unenlightened contemporaries. We do not judge them. We bless them and allow them to find their own way, or not. Their journey is just as sacred as ours. You are changing and you’re noticing the change. You’re noticing a decided and distinct difference between the awakening “you” who you are becoming and the “you” who you were prior to your spiritual awakening as if you’ve been reborn, and in a sense, you have been, like a butterfly emerging from his or her chrysalis. You are embracing a more peaceful state of being, where love expands, you have a growing compassion and understanding of others as you become more tolerant and accept things simply as they are, without taking them personally. You bless all others and are less likely to hold onto the idea that one religious perspective is more right than another. Instead, you understand that everyone is only doing the best they can with what they have, just as you are in regard to any understanding or view of life. You have a higher respect for your relationship with your body, seek to find ways to honor it, and celebrate all the experiences which can be enjoyed by maintaining your body as a further extension of your higher self, accompanied by a respectful growing moral ethics and/or personal code which is not dictated from without but embraced and emerges from within (or above). Your relationships are more real, as you find less satisfaction with idle chit-chat and seek to connect more deeply and have more meaningful relationships. Among other signs, these might give you insight as to what to expect as you begin to awaken.